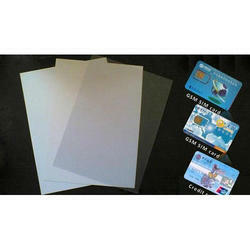 Raj Incorporated is one of the leading manufacturer, supplier of special grade PVC films and sheets known as Inkjet PVC Sheets used for inkjet printing. These sheets are specially manufactured with porous surface for excellent principality. 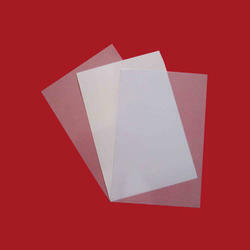 With rich industrial experience we and knowledge we are involved in offering an extensive range of PVC Inkjet Sheet. These are widely used for inkjet printing, digital printing and laser printing. These are very well known in market due to their long life and superior finishing. Moreover, we assure our clients to deliver these products in given period of time. 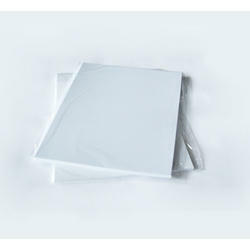 With vast experience and knowledge we are involved in offering a premium quality range of Plastic Inkjet Sheet. These sheets are made from PVC and have excellent printable surface which makes them ideal choice for printed plastic stationery items. Besides, offered products are also quality tested on various parameters by our highly skilled professionals before they are dispatched. The material is a colourless polymer of vinyl chloride. Material is a polished, scratch-proof for high-quality printing. Some sheets have PVC laminate on top & bottom. All of our materials are ISO compliant, and will work with any color or monochrome digital imaging system. They are of graphics quality to enhance print quality and create the image sharpness you need to produce vivid colors and detailed readable bar codes. 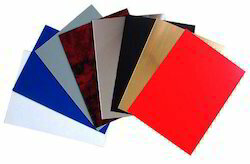 Looking for Inkjet PVC Sheets ?